Ferman Laminators, S.L., hereafter Ferman, states its compliancy with the regulations in force about data protection, and specially with the Organic Law 15/1999, dated 13th December, and the Personal Data Protection Law 34/2002. According with the current dispositions in force, Ferman shall collect only the data being strictly necessary to provide the services resulting from its activities and other services conferred by the Law. In case the previous events shall occur, Ferman will announce here in good time all the changes introduced in this web page before their putting into practice. All the data provided by means of electronic mail or forms will be treated in accordance with the regulations in force regarding personal data protection, and in any case, the Ferman staff in charge of the management of such information will consider it as confidential. By the completion of the forms enclosed in the different websites related with services provided by Ferman, the User is accepting the inclusion and later treatment of the data provided in a personal data file, owned by Ferman, and is authorized to exercise the applicable rights in accordance with the following clause. Additionally, if the User does not wish to receive any information via electronic mail or any other means, he/she can inform about it to Ferman at the mentioned address through any means providing evidence of due receipt. Exclusively the data aimed to contact the User (on an elemental basis), like name, surname and email address. This information, once received by Ferman, shall never be sold, transferred or rented to other companies, with the reasonable exception of supplying the service. 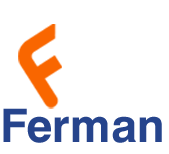 Ferman is held responsible for these files containing personal data, created by and for Ferman with the purpose of carrying out the maintenance and the management of the rapport with the User, the information and distribution of the products belonging to the organization, and the performance of its activities. When necessary, Ferman will ask the consent of the User about using the data in order to send him any information related with the organization, the activities being developed or other related subjects. Besides, and unless the User has been informed about the likely existence of transfers of his/her data to a third party, and his/her consent to it has been obtained, in no case –with the exception of the cases protected by the legislation in force- no third party alien to Ferman could access, without the express consent of the User, to his/her personal data. In all other cases, Ferman shall cooperate for the third to comply with the legislation in force, although the responsibility shall be demanded to the mentioned third party. Ferman shall not sell, rent or transfer the personal data belonging to the Users of these websites, with the reasonable exception of supplying the service. Ferman shall not sell, rent or transfer the emails belonging to its Users to other companies, with the reasonable exception of supplying the service. Occasionally, Ferman will send an email notifying the improvements, new features or offers taking place in this web page of its property. Users can unsubscribe at any time by sending an email to sales@fermanlaminators.com (specifying the address of the department involved). It is customary for the Users to make a reasonable use of the services or contents, under the principle of good faith and respecting the regulations in force, the moral values,the public order, the moral conventions, the rights of third parties or the same Ferman, all according to the possibilities and aims for which they were conceived. Ferman does not assume any responsibility, direct or indirect, arising from potential or emergent damage or dismissed profit, or derived from the improper use of the services or contents made by the Users or third parties. In compliance with the information duties stated in the article 10 of the Law 34/2002 in force dated 11th. of July, related to the Services of the Information Society and Electronic Commerce, we state that the responsible of the Ferman web where you can unload several applications is Ferman, with Nif B66235383, Complex Industrial Gelida Nave 15 C · 08790 Gelida · Barcelona · Spain, with Internet domain www.fermanlaminators.com registered in the consequent records, and meeting communication issues related with the Users and/or interested individuals in the following email address: sales@fermanlaminators.com. Ferman is not held responsible for other web belonging to others which access can be made through links or of any contents made available by third parties. Any use of a link or access to a web not belonging to Ferman is made at the free will and exclusive risk of the User and Ferman does not recommend neither guarantee any information obtained through a link not belonging to Ferman, nor holds any responsibility about any loss, claim or damage derived from the use or ill use of a link, or from the data obtained through it, including other links or webs, about the interruption of the service or the access, or the attempt to use or ill use a link, both when connecting to the Ferman web and getting access to the information in other webs from Ferman web. At any time Ferman can introduce improvements and/or changes in the services or contents. Ferman has obtained the data and the materials enclosed in the web from reputable sources that are considered as trustworthy, but although the suitable measures have been taken in order to assure that the information contained is correct. Ferman does not guarantee its accuracy and updating. We also warn our Users that the contents of this web have information purposes regarding the quality, situation, lodging, services and tariffs belonging to Ferman. Ferman shall accept no responsibility in case of interruptions or a bad performance of the services or contents available at Internet, whatever their cause. Additionally, Ferman shall accept no responsibility for drops of the network, business damages resulting from these drops, momentary discontinuations of the electric power supply or any other type of indirect damage that can be caused to the Users by reasons alien to Ferman. Ferman does not state neither guarantee that the services or contents could be interrupted or free of errors, that defects shall be amended, or the service or the server that makes it available are free of virus or other damaging elements, in spite that Ferman shall make the appropriate efforts to avoid this type of events. In case the User shall take certain decisions or carry out actions based on the information enclosed in any of the websites, the verification of the information received against other sources is recommended. All the contents provided by Ferman -as well as the contents stated in the network through its web pages- constitute an entire work in accordance with the meanings of the regulations about intellectual property, and thus are protected by the laws and the international treaties issued regarding this matter. It is prohibited any form of reproduction, distribution, public communication, modification, delivery and, in general, any other deed of public procedure referring both to the web pages and to its contents and information, without the specific and previous approval in written form from Ferman. Consequently, all the contents displayed at different websites, specially designs, texts, graphs, logos, icons, buttons, software, commercial names, brands, industrial drawings or any other signs susceptible of industrial and commercial use, are subject to the intellectual and industrial rights belonging to Ferman or to third parties owning such rights who had duly authorized its inclusion in the different websites. It is prohibited any act by which the User of the services or contents can exploit or use commercially, directly or indirectly, entirely or partially, anyone of the formal contents, images, forms, indexes and any other expression included in the web pages without previous permission in written form by Ferman. In particular, and without a comprehensive nature, it is prohibited to reproduce, distribute, exhibit, transfer, broadcast, issue in any form, store in hardware or logical supports (for example, computers’ diskettes or hard disks), digitalize or make available from data bases different from those belonging to the authorized by Ferman, as well as to translate, adapt, adjust or modify in any form these opinions, formal images, forms, indexes and any other expression made available to the Users through the services or contents, in accordance with the applicable regulations related to the intellectual, industrial or image protection Property Rights. Ferman is free to restrict the access to its web pages, products and/or services offered there, as well as the subsequent publication of the opinions, observations, images or comments sent by the Users through email. In this sense, Ferman shall be able to install, when considered necessary and without damage to the sole and exclusive responsibility of the Users, the filters necessary in order to avoid that it can be spread in the network through its web pages any contents or opinions considered racists, xenophobic, discriminatory, pornographic, defamatory or that in any way could generate violence or the propagation of contents clearly illicit or injurious. The Users sending to Ferman web pages, suggestions, observations, opinions or comments by means of the electronic mail service -unless they express the opposite in a true and unmistakable manner- and being understood that in those cases which by the nature of the services or contents this could be possible, authorize Ferman to the reproduction, distribution, exhibition, transmission, broadcasting, emission in any format, storage in hardware or logical support (for example, computers’ diskettes or hard disks), digitalization, availability from data bases belonging to Ferman, translation, adaptation, adjustment or any another modification of such observations, opinions or comments, during all the time the protection issued from copyrights were legally in force. Additionally, it is understood that this authorization is granted for free, and that by the single fact of sending by email such observations, opinions or comments, the Users decline any remuneration claim from Ferman. In accordance with the stipulations stated in the previous paragraph, Ferman is also authorized to proceed to the modification or alteration of such observations, opinions or comments, in order to adapt them to the requirements of the web pages’ publishing format, without being understood for that reason that could be detrimental to the copyright’s moral faculties held by the Users. It is forbidden any technical, logical or technological resource through which a third party could benefit, directly or indirectly, with or without profit, of all and each one of the contents, formal forms, indexes and any other expression enclosed in the web pages, or carried out by Ferman for their performance. In particular, it is prohibited any link, hyperlink, framing or similar bond that could be established by others and directed to Ferman web pages, without the previous specific consent in written form to Ferman. Any infringement to the points stated above shall be considered a grievance to the legitimate intellectual Property rights of Ferman to the web pages and all the contents of these. Ferman will not accept any responsibility for any consequences derived from the behaviors and performances mentioned before, and will not assume any responsibility for the contents, services, products, etc., belonging to a third party which could be acceded directly or through banners, links, hyperlinks, framing or similar bonds from Ferman websites.